I had the pleasure of checking out AT&T Park a couple months ago for a Giants-Reds game. 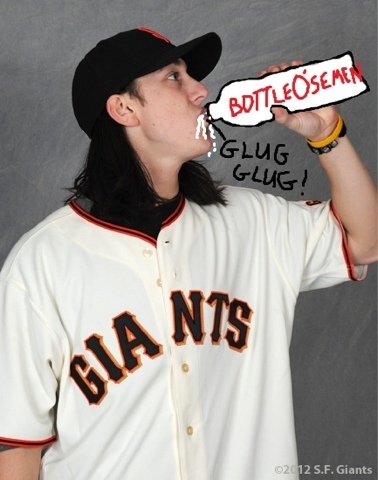 Tim Lincecum started and gave up 7 runs in the first two innings. It made me feel warm and fuzzy inside. Today he starts against the Padres for a glorious 3:40 game (Mike Dees, more if these, less of the 12:40 games. Also, more brown). Since I’ve been in Baja on vacation, I’m pleased to see the Padres taking a firm hold of 4th place. Small victories! Very small.